As part of BookNet’s research into the Canadian book buyer, we have been running a small survey of Canadians’ reading and leisure habits over the last 3 years. This is a survey we conduct in January/February each year. Where our book-buying research is focused on book buyers, this research is meant to focus more on how Canadians spend their leisure time and, more specifically, on how and when they are reading books (in any format). 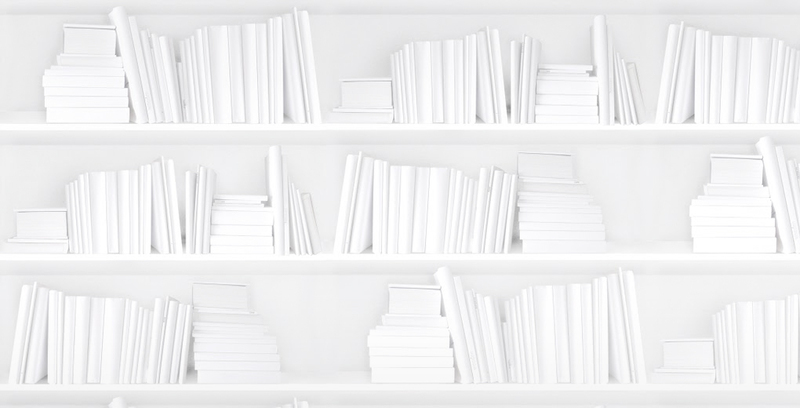 As has been the case with book buyers, Canadians’ reading habits are also changing. 88% of our respondents read a book last year. For comparison, a Pew Research Center report on Reading in America in 2013 showed that 76% of Americans read a book last year. The Pew report was a phone-based report, so the methodologies are a little different, but the numbers of respondents are similar. 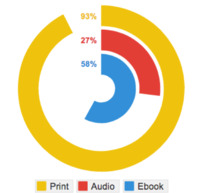 Of those respondents who told us they read a book last year, 93% said they read a print book, 27% said they listened to an audio book, and 58% said they read an ebook. 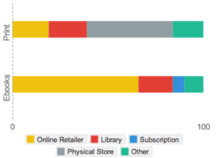 It should come as no surprise that ebooks are mostly acquired online (67%) and that print books are mostly acquired in physical stores (45%), but it is interesting that readers acquire their ebooks (18%) and print books (20%) at about the same level from the library. Canadian readers (especially those that answer online surveys) are big owners of mobile devices capable of reading books on, with only 13% not owning a reading-capable mobile device. 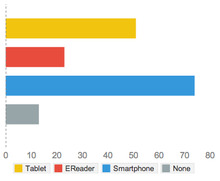 Ebook readers seem to be evenly split between tablets and ereaders as their primary reading device. We also asked readers what devices they were planning on purchasing over the next 12 months: tablets (40%) were more than twice as likely to be puchased than dedicated ereader devices (16%). Interested in more data on Canadian reading habits or book-buying behaviour? You can check out our current studies here. We will be releasing our 2013 Canadian Book Consumer studies later this spring. Sign up for our eNews to be notified when they are released. - Online survey. This means we may have some survey bias towards internet users. - Respondents are compensated for their time.